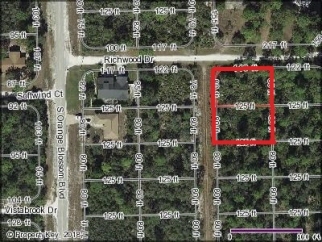 2 lots available at $4,500 per lot - total $9,000. (Must be sold together-no exceptions please). Located in desirable area of orange blossom estates just 1 block off of the main blvd. 10178 spicewood drive is the connecting tract for sale.Lot 24 is 80x125 & lot 25 is 85x125.